This past weekend, Strange Music’s CES Cru celebrated their official signing to the label with a live performance at Record Bar in their hometown of Kansas City. Kicking off 2012, the duo hit the stage for a headlining performance that included fan favorites from their full length release, The Playground. 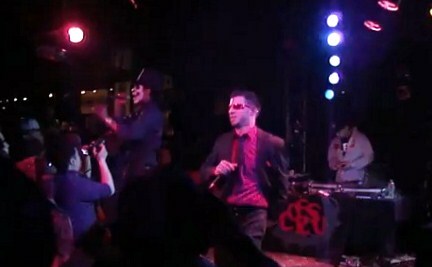 Watching from the side of the stage, this fan captured some incredible footage of CES Cru’s headlining show, including live performances of hits like “Hate Season” and “Mi Na Foreplay”. With Strange Music and Kansas City behind them, Ubiquitous and Godemis blew up the spot with a mix of lyricism and high energy action. Did you attend the show? What did you think of CES Cru’s performance?